Large parts of the world’s land area are used by the agricultural sector. Hence, agricultural activities substantially affect the environmental status of natural resources on a global scale. 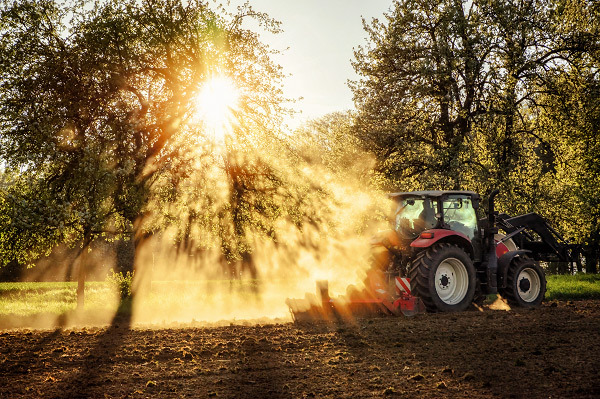 Climate change, environmental problems, as well as demographic and economic growth further worsen the conditions for land use and increase the pressure to achieve a reasonable use of land and soil. In many cases seemingly incompatible interests of land users will lead to land use conflicts, as is commonly observed between farmers and environmentalists. This conflict between the intensification of agricultural production in order to meet the growing global demand for food and agricultural commodities on the one hand, and between protecting and preserving our global natural capital on the other hand, manifests itself in conflict and debates between these two stakeholder groups. In this context, the newest analysis presented by HFFA Research discusses existing theoretical concepts and practiced approaches to solving land use conflicts – specifically conflicts between intensive agriculture and biodiversity conservation. 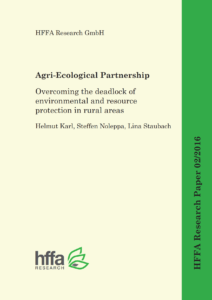 The study investigates the possibilities, restrictions, opportunities and risks of the Agri-Ecological Partnership (AEP) concept. This concept may become a tool for ensuring cooperation and negotiation between stakeholders with conflicting interests. Considering the complexity of relationships and causalities that are known to govern human-environment systems, this study aims to derive and define a pragmatic approach to an AEP as a starting point for further discussions. The AEP concept presented in this study can be seen as a theoretical frame for a systemic strategy that is efficient, incentive-compatible, cost-minimizing, as well as environmentally and economically targeted. At the same time it ensures fair distribution effects in order to resolve conflicts between biodiversity protection and agricultural production. After introducing and reviewing the concept in detail, this study also provides recommendations for the design of a first pilot project for implementation of the AEP concept in practice. A German version of this study has been published by the Ruhr-Forschungsinstitut für Innovations- und Strukturpolitik e.V. (RUFIS). The Conclusions of this study can be downloaded below (English). For access to the full version (English), please contact us.